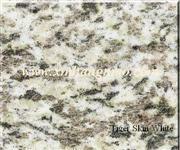 Beautiful granite counter tops are an asset to any home. Not only are they beautiful, they require little maintenance to keep their appearance top notch. Some homeowners have doubts about installing granite or other natural stone because they do not know how to care for them. The care and maintenance of these counter tops will be covered here in easy step-by-step detail how to remove stains and scratches and preventive steps to keep them beautiful. 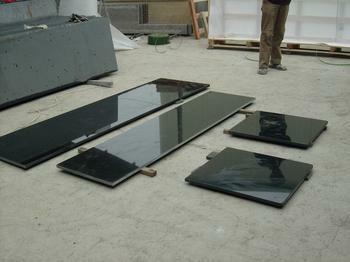 Firstly, inquire when new granite counter tops are installed if they have been sealed. 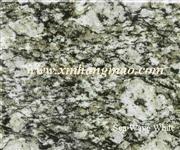 If the counter top has not been sealed, ask for a recommended high-quality food-grade seal, and apply it according to manufacturer's directions. Inquire how frequently the counter tops will need to be resealed. Secondly, use hot pads and trivets when setting hot pans on the granite counter top or any other type of utensils that could possibly scratch the surface. Wipe up all spills immediately using dish soap and water. Thirdly, remove oil-based stains with acetone, mineral spirits, bleach or ammonia mixed in water. Food stains such as coffee or tea can be removed with hydrogen peroxide combined with a few drops of ammonia. Follow up the use of these cleaners with dish soap and water, then dry and buff with a soft cloth. Fiber cloths do a good job of buffing the finish back to a shine. Fourthly, remove water spots and rings from hard water by gently buffing with 00 steel wool. Small scratches and nicks can be removed with the steel wool. Fifthly, consult with a local stone dealer if scratches are deep or there are stains that can't be removed using the aforementioned methods. Sixthly, remove stubborn soap scum on bathroom counters with ammonia only when cleaning them with soap and water does not remove.